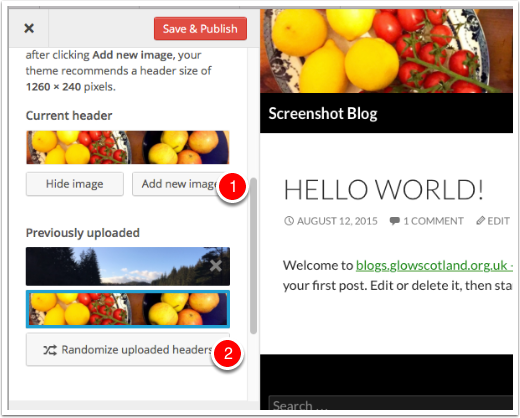 You can add a header image to make you blog more attractive. NB different themes may work differently. For example they need different sized images. 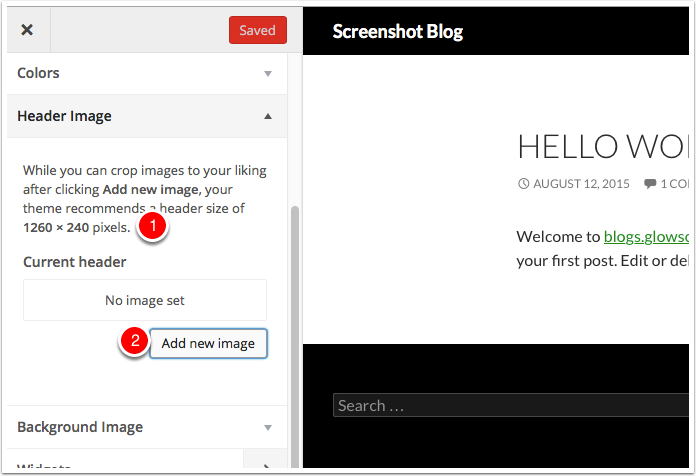 or on the hover over the blog name  in the Admin bar and choose Header. 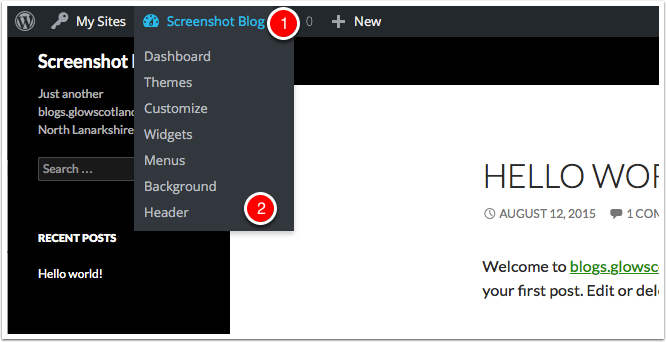 The step above opens the Header Section of the Customiser. Note that you are told the size of image that is needed . Click Add new image. . 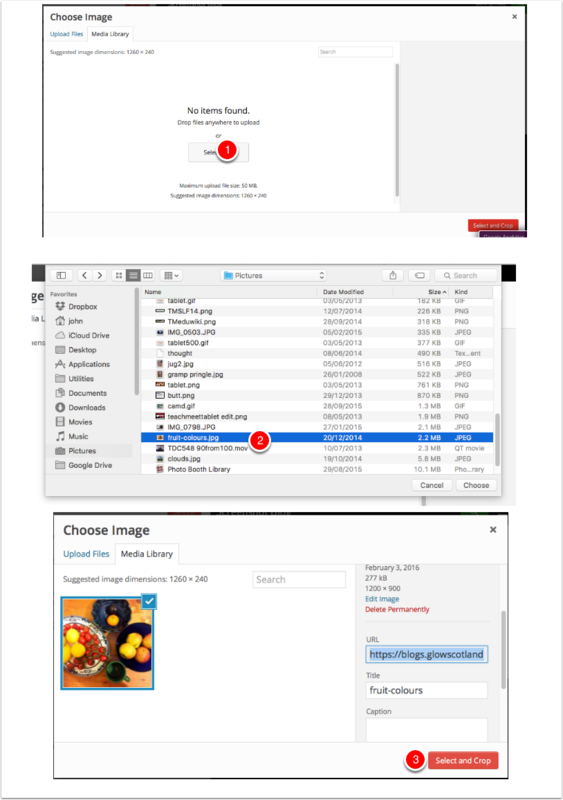 The Media Library Will open, you can choose an exiting image if any or Select Files from your computer. The image will upload and selected. Choose Select and Crop . Next you will crop the image. The selection will be at the correct aspect ratio, it is best just to move this and then click Crop Image. 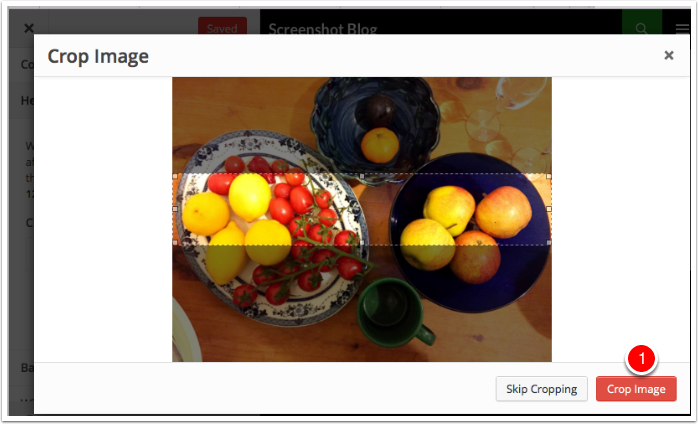 The Crop image dialog will close and you will be able to preview your header. If you are happy Click Save & Publish and then close the customiser. 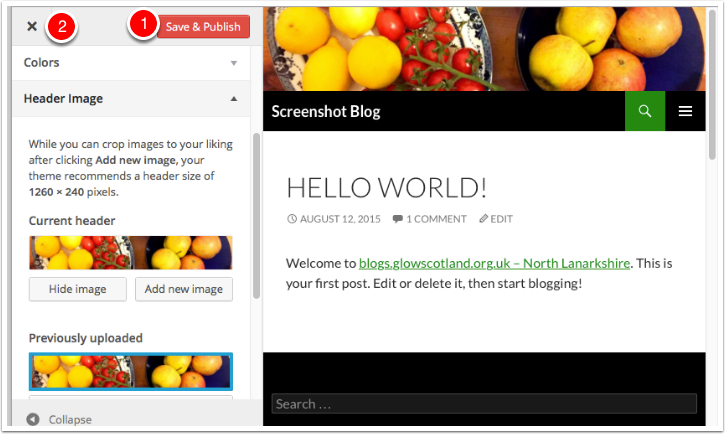 You can upload more than one image to the customiser  and then set the header to show a random header each time the blog is viewed. Remember to Save & Publish.